Gender Balanced Leadership: An Executive Guide will help you increase the number of senior women in your organisation. It profiles leading Australian and international companies, showing what they are doing to increase the number of women in senior leadership roles. It summarises key international research, identifying what works, and why. Each chapter summarises the evidence about gender balance at work. What are best practice organisations doing, and what results have they achieved? Each chapter also provides a guide on how to make progress towards best practice. Each section within each chapter turns the evidence and experience into a practical “To do” checklist of workable actions. The book’s final chapter focuses on personal change. The evidence is clear that unconscious bias is an important factor in the perpetuation of gender imbalance. The chapter provides a process for raising personal awareness of unconscious bias and allowing conscious evaluation. Practical tools are provided to help minimise the impact of bias on decision making. 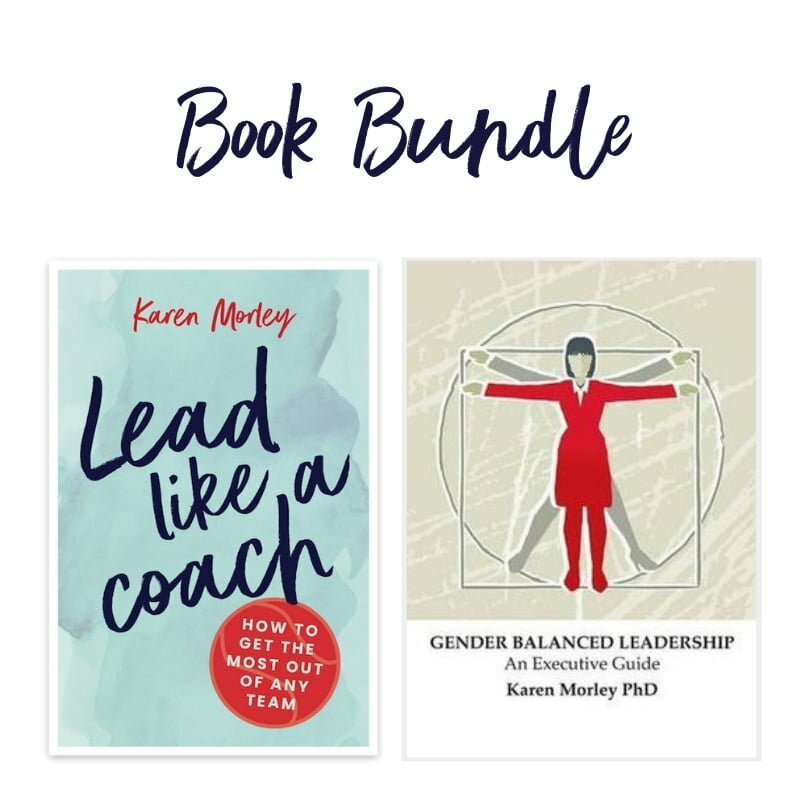 Karen delivers unconscious bias and inclusive leadership programs that will help you achieve your goals. From leadership, culture, work practices, talent and performance to unconscious bias, choose the tactics that will have greatest impact for you and your organisation. My advice is to read Karen’s excellent book. Within “Gender Balanced Leadership”, you will find a practical guide to help turn your organization around. This book saves the reader a lot of time by starting with the right short list of best and sustainable practices, reflecting the trial and error approaches from the best in the business. She provides the key business studies on the net benefits of gender equity that you can show your top team, together with quotes and scorecards from top CEOs who have been determined to make a difference on gender … Karen shows the key targets, actions, advocacy and performance indicators you should choose and seek to advance. Congratulations on putting together such a substantive and comprehensive book. It is a very good practical guide. The chapter structure facilitates easy identification of goals and actions. It is very useful to be able to access material immediately helpful to you so that you don’t have to read the whole book from beginning to end. The “Framework to minimise bias” in the last chapter is a very good addition to tools available to leaders and managers. Congratulations on the launch of your new book – a wonderfully thoughtful piece of research work and “how to” tool. Well done. I sincerely congratulate you for what you have achieved with this book. I will be purchasing several copies for the small group of women whom I mentor. Having moved from being a skeptic to a passionate campaigner for gender diversity I have read many books on the topic. This book is up there with the very best. Karen’s views are deeply insightful and well researched, presented in a practical, systematic and logical sequence. This book is a must read for all executives who want a guide to achieving gender balanced leadership and the many resultant benefits it affords. Also available through iBooks, Amazon, in print from The Nile.com.au, and selected book stores.